Imagine. With the touch of a button, an entire swimming pool floor is fully adjusted to any water depth or becomes level to pool surround thus serving as a dry deck or dance floor. It’s no longer an imagination but a reality with the modern moving pool floor system. We can provide movable swimming pool floors that have multiple programming capabilities and can offer multiple uses of the same space. For example, a typical basement poolroom can double up as party hall. Moving swimming pool floors have made it possible to maximise the use of your swimming pool with variable depth and also use the space taken up by the swimming pool for other purposes. These movable pool floors can be installed in both indoor and outdoor pools, ideally when the pool is being built from scratch. 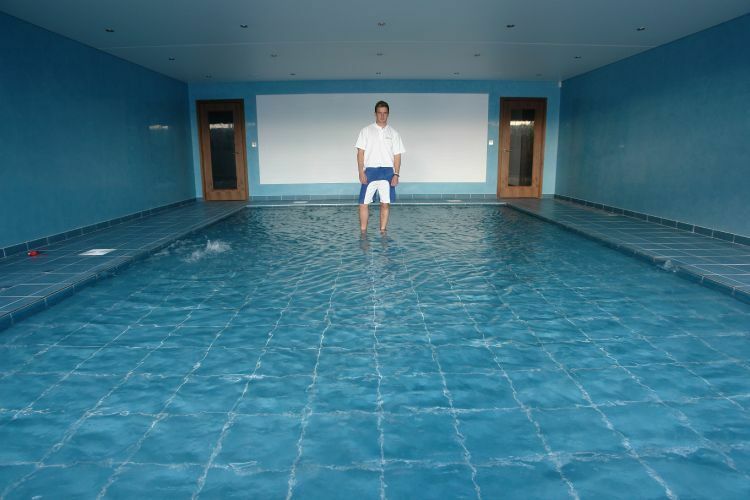 Although it is possible to fit moving pool floors to existing pools. To discuss your requirements or to find out about any of our services, please call us on 01202 518067 or email us. KB Pools are here to help!